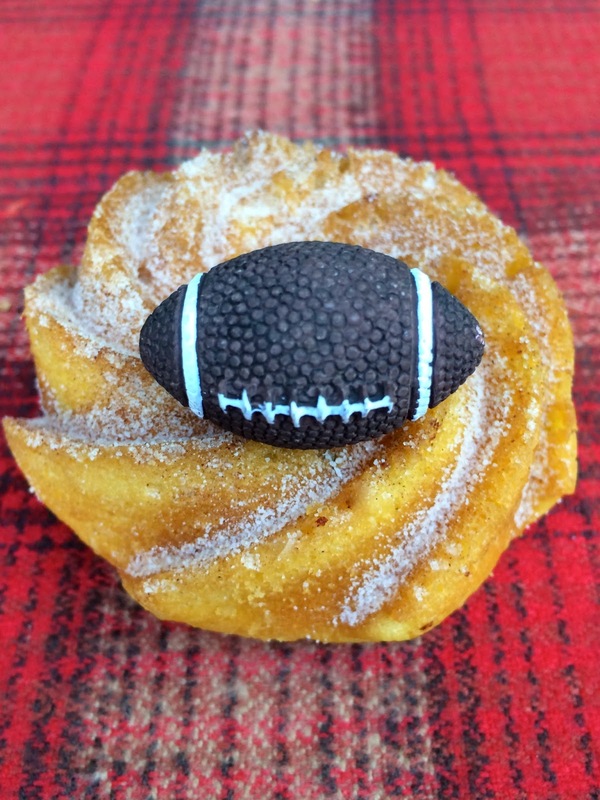 it's the perfect sweet bite to enjoy at the game or take home for later. it's all about the spiral, right? 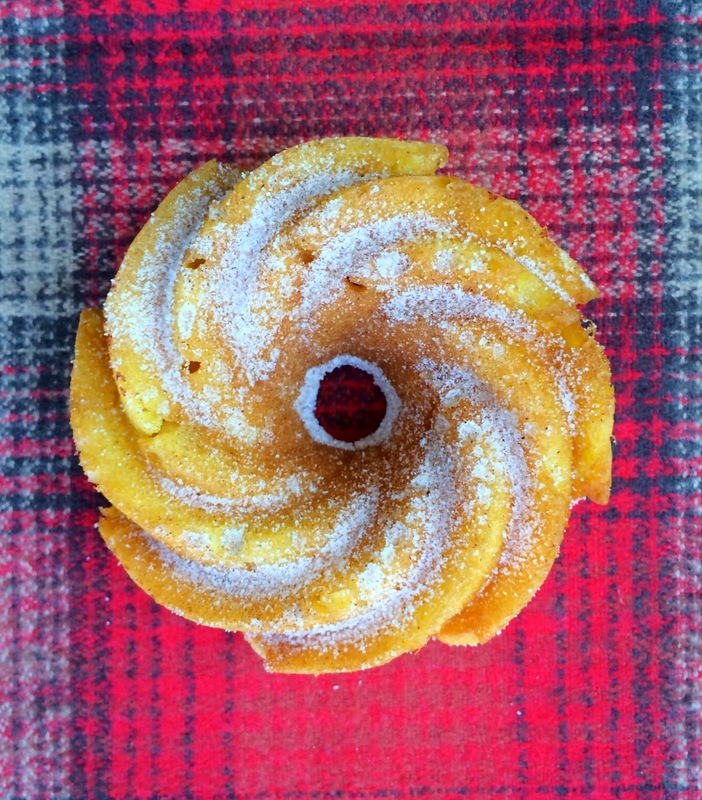 For these, I used our go-to recipe and a mini-bundt cake pan. wait until the cakes are out of the pan to put on. 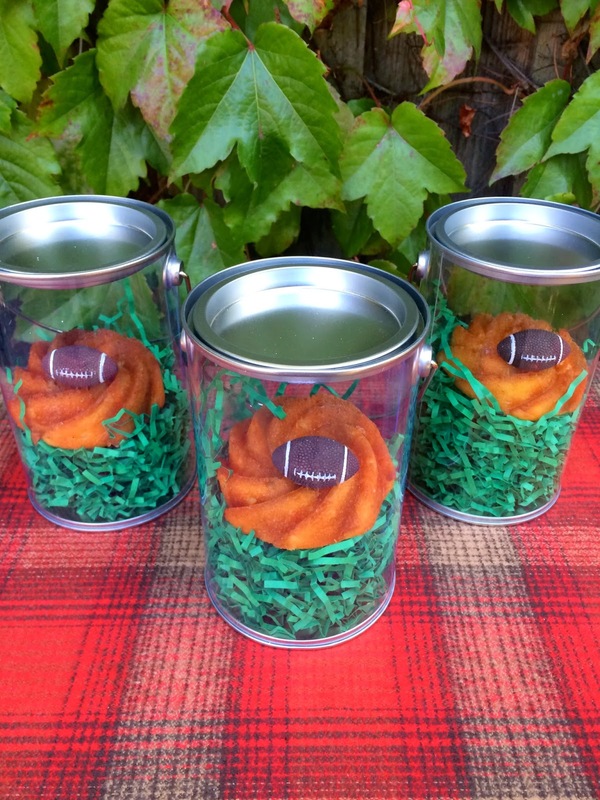 My husband is a football coach. 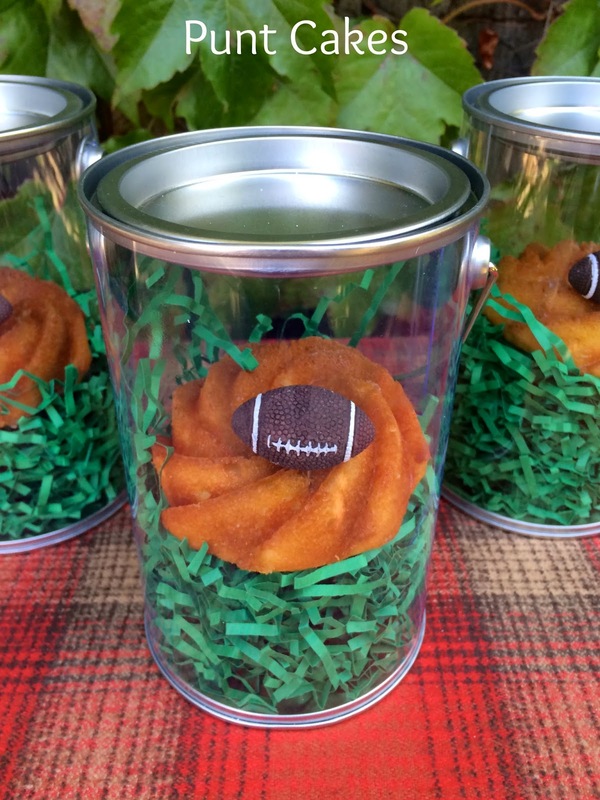 These are cute and would be perfect for tailgate party. Thank you for linking up to Party Time and we hope to see you again next week!